EXPLORE a beautiful 3D world as mayor where you can build the city of your dreams! COLLECT a colorful cast of characters who will help you along the way! PLAY with friends for free, nurturing your small town into a budding metropolis and construct a global cultural capital! WIN prizes, collect buildings, and unlock real-world landmarks to create the greatest city in the world! Your citizens need you NOW! Features of DREAM CITY: METROPOLIS!!! – Explore a living, breathing world! – Build businesses, create homes, and collect unique civic buildings! – Collect and unlock hundreds of unique businesses, houses, civic buildings, and landmarks! – Grow your town into a bustling metropolis! – Meet friendly characters like Rachel, your reliable Chief of Staff, who is full of helpful advice and fun stories! – Be the mayor your city needs! Build Up and Out – COLLECT hundreds of unique buildings, each with their own function! – Build out businesses and industries to make your city a world class leader in innovation. – Develop housing for your citizens to move into and raise their families. – Open civic buildings to provide services and help run your vast megalopolis. – Unlock real-world landmarks to design your city in your own style. There’s Tons to Explore – UNLOCK dozens of expansions in a huge 3D world and eventually unlock new Neighborhoods to keep expanding your city! – Discover new surprises and landmarks as you explore and expand into new areas. – Unlock Neighborhoods to continue expanding your city and discover new content. Celebrate Your Achievements – WIN PRIZES for playing often and building your city larger! – Unlock new types of businesses, industries, houses, civic buildings, and landmarks as you progress. – Win resources to help your city flourish and grow even more. Design Your Dream City – DECORATE your city with hundreds of different types of buildings, parks, landmarks, etc. – Build a city that reflects the best aspects of cities you’ve seen such as the Eiffel Tower or Empire State Building! Create a Thriving Economy – TRADE your goods with friends and neighbors! – Trade your city’s industrial exports with other cities to grow your economy! – Open a Burger Bar, a Pizzeria, a Sushi Shop and so much more to expand the variety of goods you can trade with sister cities. Grow Your Living City – NURTURE your town into a metropolis for your citizens! – Interact with an exciting and colorful cast of characters who will help you be the best mayor in the world! – Help your population grow and learn about your citizens along the way. – Throw special cultural events for your citizens and attract more residents and tourists to your thriving city! The city building game you’ve been waiting for is here at last! Come and play the BEST looking FREE City game for Android! 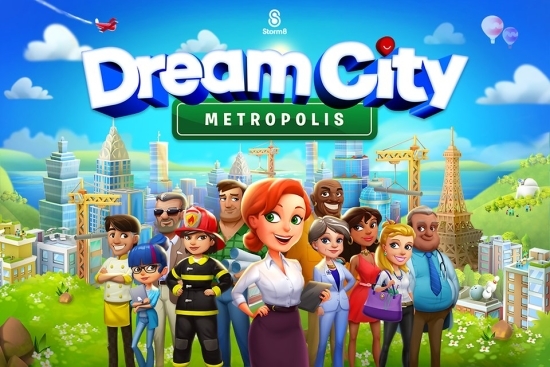 DREAM CITY: METROPOLIS is an online only game. Your device must have an active internet connection to play. 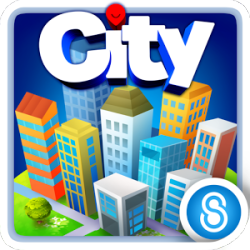 Please note that Dream City: Metropolis is free to play, but you can purchase in-app items with real money. To disable this feature, go to the Google Play app on your device, tap the Menu button, select Settings > Use password to restrict purchases. Then follow the directions to complete setup. In addition, Storm8 Studios may link to social media services, such as Facebook, and Storm8 Studios will have access to your information through such services.